We are Franciscan Friars in Taiwan and Hong Kong. in the footsteps of St Francis of Assisi. The Order of Friars Minor is a Roman Catholic religious order, founded some 800 years ago in Italy by St Francis of Assisi. Francis' simple dedication to living the Gospel has attracted millions of men and women over the centuries and around the world. He is the patron of action on behalf of the poor, of non-violence and initiatives for peace, as well as the safeguarding of creation. 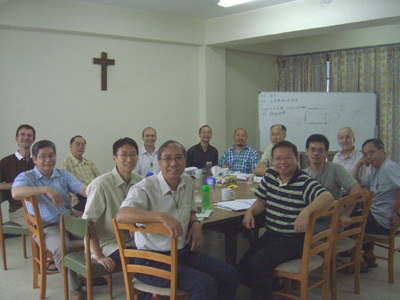 Blessed John of Montecorvino Foundation in Hong Kong was declared a foundation belonging to the Province for the friars in Hong Kong in 2002.
and commit ourselves to the Word. Most of our pages are in Chinese. The following are picture pages. Write to the webfriar for comments about this website.